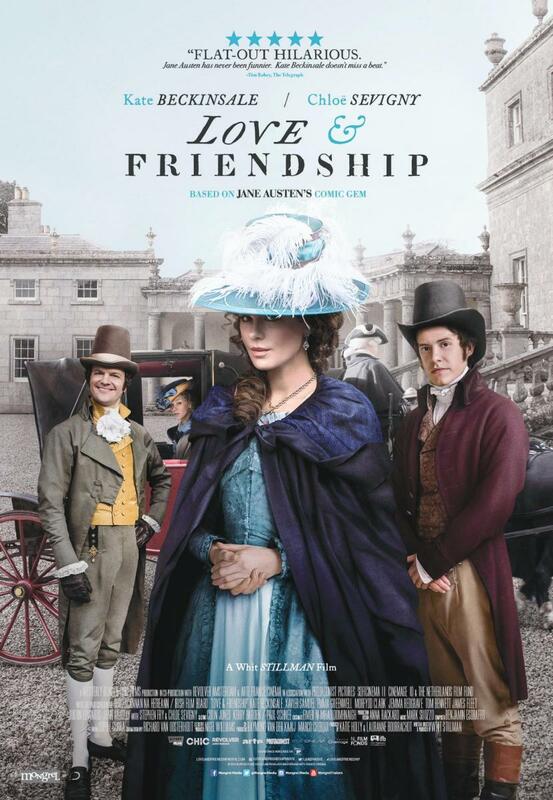 Lady Susan Vernon (Kate Beckinsale) is a widow with a 16-year-old daughter, Frederica (Morfydd Clark). Susan very much enjoys her widowhood and has garnered quite a reputation as a seductress. Her most recent conquest, Mr. Manwaring (Lochlann O’Mearáin), has left her in a bit of a delicate situation, so she retreats to her brother’s (Justin Edwards) estate. Her sister-in-law Catherine Vernon (Emma Greenwell) is not pleased as she suspects Susan’s scheming ways. Catherine’s brother Reginald (Xavier Samuel), on the other hand, is rather intrigued by her, despite the warnings. Susan knows she will have to find good husbands for Frederica and herself to secure their futures, so that’s what she sets her mind to. Love & Friendship was an utterly delightful film. Funny, romantic and filled with great characters, the film is the novel Jane Austen could have written if she had wanted to spend more time on Lady Susan. I absolutely adored it. 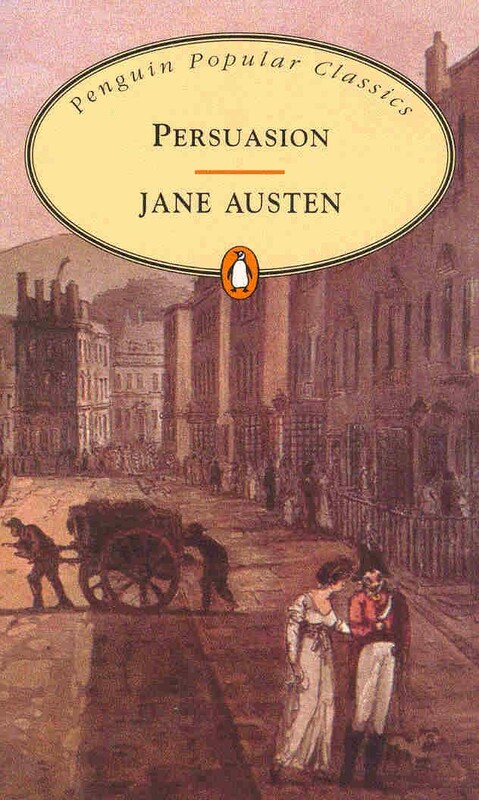 Lady Susan, The Watsons and Sanditon are works of Jane Austen, the latter two of which remain unfinished. Jane Austen is great, whether in fragments or finished. 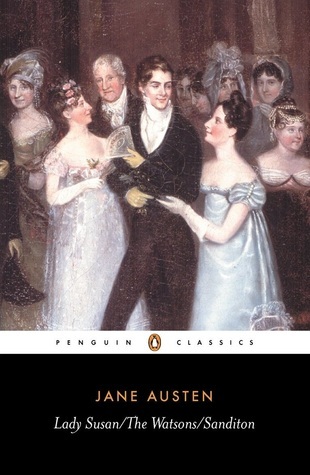 I very much enjoyed reading all three of the story (parts), although I’m actually happy that Sanditon remained a fragment because I would have different plans for the characters than Austen most likely intended and this way, the path is free for me to imagine it all. In any case, if you enjoy her finished and polished novels, it’s definitely worth checking out her other works as well. After the jump, I’ll talk about each work separately. Early 19th century, England: A strange plague has befallen the land and the dead are rising. In the middle of all this confusion is the Bennett family. Mr Bennett (Charles Dance) has trained his daughters Elizabeth (Lily James), Jane (Bella Heathcote), Lydia (Ellie Bamber), Mary (Millie Brady) and Kitty (Suki Waterhouse) in the deadly arts, but their mother (Sally Phillips) tries everything to get them married. So it is just as well, when two new young men enter their social lives – Mr Bingley (Douglas Booth), amiable and sweet and Mr Darcy (Sam Riley), arrogant and proud. 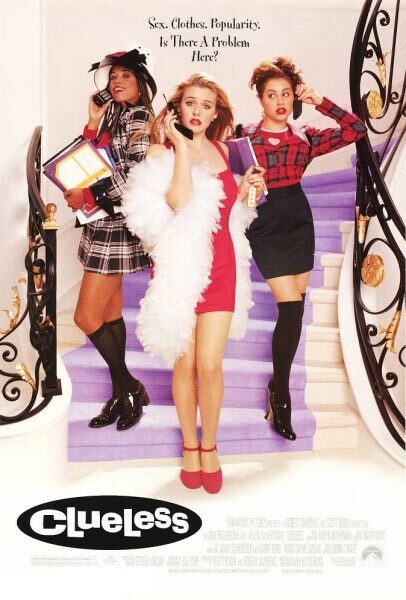 Will the Bennett sisters find their perfect guys and not get eaten by unmentionables? 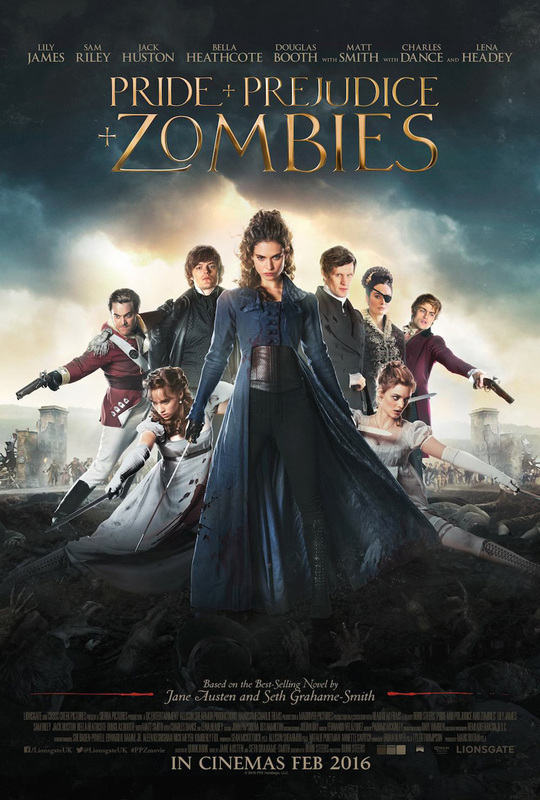 After my experience with Abraham Lincoln: Vampire Hunter, I was very much prepared for needing all my sarcasm and irony (and alcohol) to enjoy Pride and Prejudice and Zombies. Turns out that many of my fears were unfunded – P&P&Z is often intentionally hilarious, even if it does have some weaknesses. 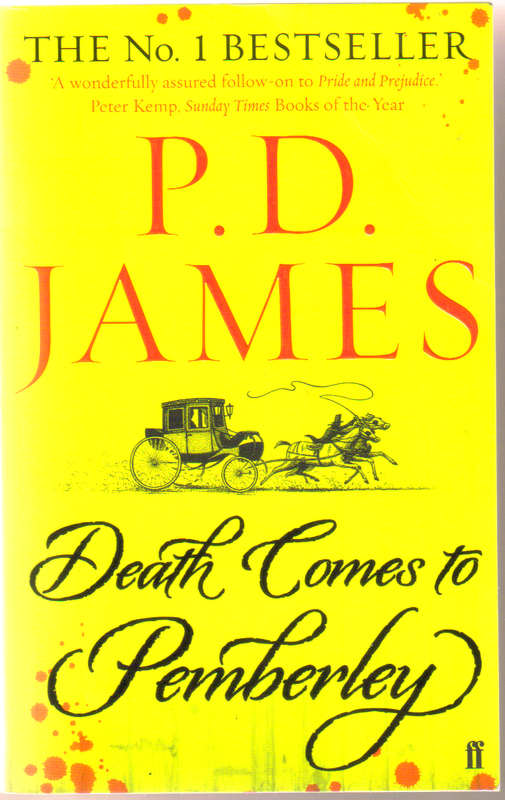 Death Comes to Pemberley is a novel by P. D. James, a sequel to Jane Austen’s Pride and Prejudice. It’s been 6 years since the Darcys married and their life would be pretty much perfect, if it wasn’t for the continued tension between them and the Wickhams. The evening of Lady Anne’s Ball is coming up – the social event of the season hosted by the Darcys. But the night before, Lydia Wickham arrives at Pemberley in a state of panic, screaming that her husband has just been murdered in the woods of the estate. Mr Darcy and Colonel Fitzwilliam mount a search party to find out what happened. I was looking forward to this. 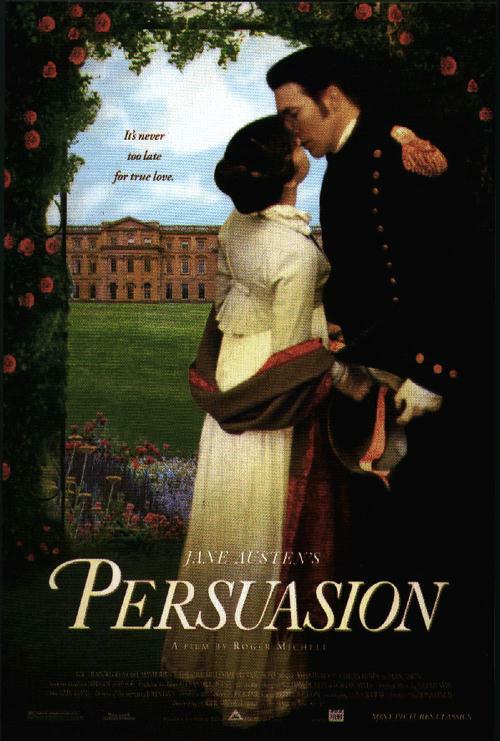 A sequel to Pride and Prejudice, written by somebody with a reputation as a good writer should be awesome. But I was unfortunately disappointed. Catherine Morland (Felicity Jones) is the daughter of a family with a lot of children and not a whole lot of money. She grew up quite the tomboy, but has recently discovered her love for gothic horror novels. So when the Morland’s neighbors the Allens ask Catherine to come with them to Bath, Catherine is overjoyed to accept, expecting finally an adventure like the ones she read about so much. Once there, she meets Isabella Thorpe (Carey Mulligan) and her brother John (William Beck), friends of Catherine’s brother James (Hugh O’Conor). John shows immediate interest in Catherine, but Catherine is much more interested in Henry Tilney (JJ Feild) and his sister Eleanor (Catherine Walker). After having fallen in love so much with the book, I was kinda apprehensive about the adaptation living up to it. But I need not have been. They really did a very good job with it and the movie is almost as sweet as the book. Catherine Morland is the daughter of a family with a lot of children and not a whole lot of money. She grew up quite the tomboy, but has recently discovered her love for gothic horror novels. So when the Morland’s neighbors the Allens ask Catherine to come with them to Bath, Catherine is overjoyed to accept, expecting finally an adventure like the ones she read about so much. Once there, she meets Isabella Thorpe and her brother John, friends of Catherine’s brother James. 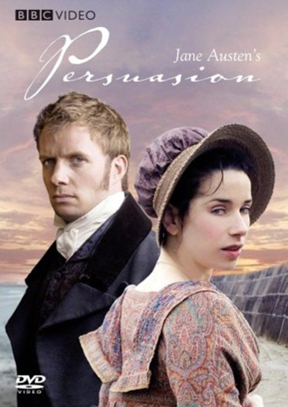 John shows immediate interest in Catherine, but Catherine is much more interested in Henry Tilney and his sister Eleanor. I absolutely adored Northanger Abbey. It has a young adult vibe to it that I really enjoyed and it’s the funniest of Austen’s novels I have read so far – a straight send-up of all the gothic horror novels. 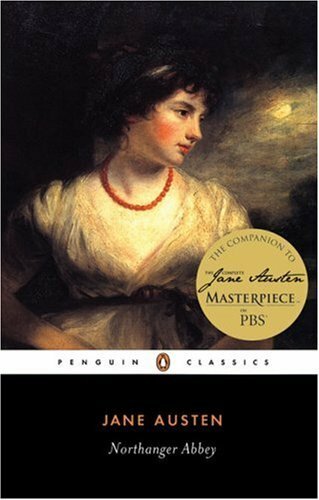 I think it might have overtaken Pride and Prejudice (though not Emma or Sense and Sensibility) in my personal top Austen books list [We don’t need to mention Mansfield Park because I did not like that]. Let the gushing begin!